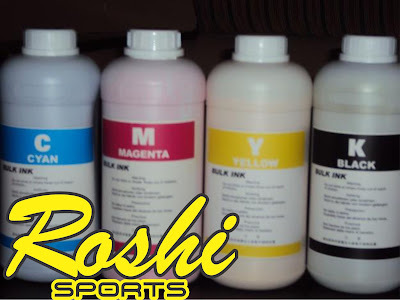 Roshi sports Sublimation Inks offer the best Price and performance in the Pakistan industry. All inks come with longer printhead life and improved performance over any other name brand ink. Sublimation printing ink work excellent in Epson T 7000 T 5000 T 3000 , Mimaki, Roland, and Mutoh sublimation wide format printers. Your sublimation transfer prints will look even better using affordable . You will see excellent colors and improved penetration than competitive inks.